A big and a little badger curl up for a snooze. 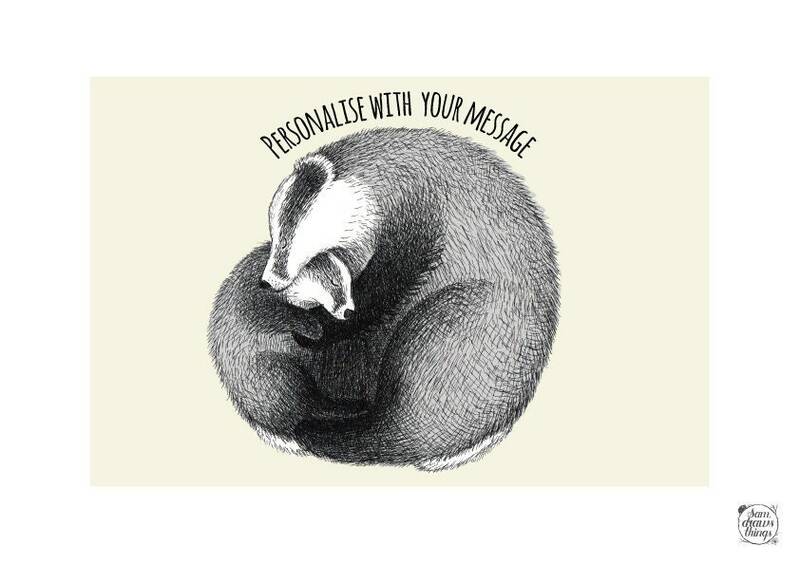 You can add any message you like to personalise this cute print. The badgers have been carefully drawn in pen and ink, and I've added a muted yellow background and shades of grey to the badgers digitally.